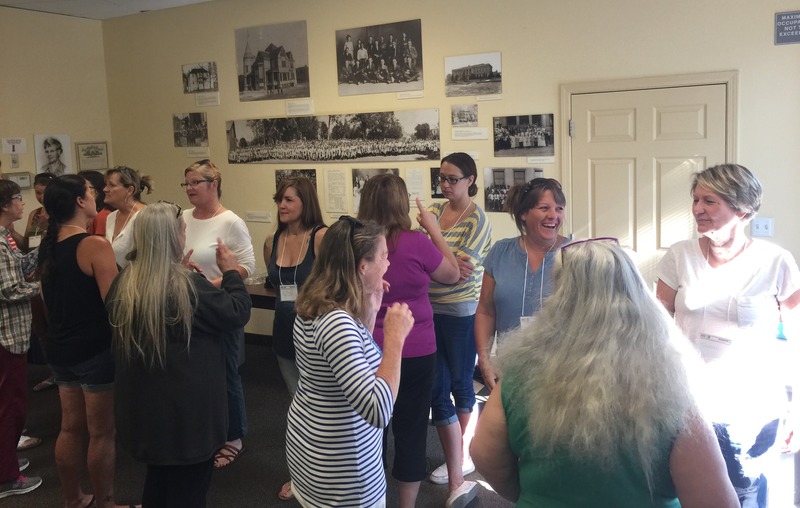 September 18, 2017 – Early childhood professionals and teachers of Nevada County just developed new teaching skills based upon updated research-based tools. The benefits will go to Nevada County kids. According to Rossnina Dort, Coordinator for the Local Planning Child Care Council and Early Quality Matters for Nevada County, research shows early math ability is the biggest predictor of future academic success. However, recent studies show that math is nearly absent in preschools and prekindergarten education programs in our state. This problem can hold Nevada County kids back later in life. Fixing it can give Nevada County kids an edge. To address this deficiency, the California Preschool Instructional Network together with the Nevada County Child Care Coordinating Council brought together 21 select and hard working early childhood teaching professionals from Grass Valley and Nevada City Saturday September 9 in the Nevada County Superintendent of Schools conference room to complete a new training. It was a data driven training to discuss and develop strategies for improving the math abilities of young children during everyday preschool and child care before they enter kindergarten. “It was a great success, and the teachers are motivated” according to Rossnina Dort. According to Ms. Christensen, she is discovering new focuses such as, guiding children to count the number of pom poms they ‘add’ to their art projects and giving children different sensory items to ‘add’ or ‘subtract’ from their pretend play helps children of all abilities use mathematical language and manipulation to guide their progress from behavioral to representational understanding of mathematical concepts. For example, Susan Christensen, a teacher from Little Friends Child Development Center reports that she will use the knowledge from the training to use play-based opportunities to develop and deepen children’s conceptual understanding of “number sense” through a variety of materials and presentation methods. She expects it will help children learn the value of numbers. For instance, she says, by counting the number of furry dots children often use in their art projects and giving children different sensory items to incorporate and ‘add’ on to their artwork will help a child who may be visually impaired, use mathematical language and manipulation to guide their progress from behavioral to representational understanding of mathematical concepts. Carolyn Tate and Gina Lovejoy who run home-based child care in Nevada County also added fantastic ideas to build on children’s natural interest and informal mathematical knowledge by helping them count in contexts that are meaningful to them. “By using real world concepts like snack time, teachers can give children the autonomy to pass out the number of plates needed and/or the desired amount of apple slices for snack. Doing this not only increases their sense of responsibility, but also learn one-to-one correspondence and number operations”. 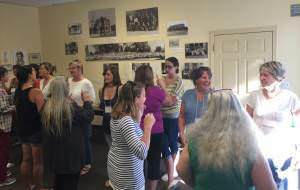 Nevada County Child Care Coordinating Council looks forward to advancing on these concepts in the coming year with continued support from First 5 California, parents and the community. They also look forward to expanding their opportunities to more of the county’s child care professionals who are committed to professional development and quality service. For more info, to see a list of all of our participants, please visit and Like our Facebook Page @4cNevCo and/or contact Rossnina Dort: rdort@nevco.org or 530.271.0298.